Showrooms with high profile national tenants in the Chirnside Homemaker Centre at Chirnside Park in Melbourne’s east have been sold by Ray White Commercial Victoria for $5.5 million. The showrooms in the complex at 286-288 Maroondah Highway, Chirnside Park, were both sold to private investors by Ray White Commercial Victoria Director Brett Diston and Ray White Commercial’s Karen Mychaelle Seeto on behalf of private owners. Mr Diston said an approximately 1,115 sqm tenancy at 3/286-288 Maroondah Highway, Chirnside Park, which has Fernwood Investments as a long term lessee, was sold for $2.95 million, representing a yield of approximately 7.7 per cent. 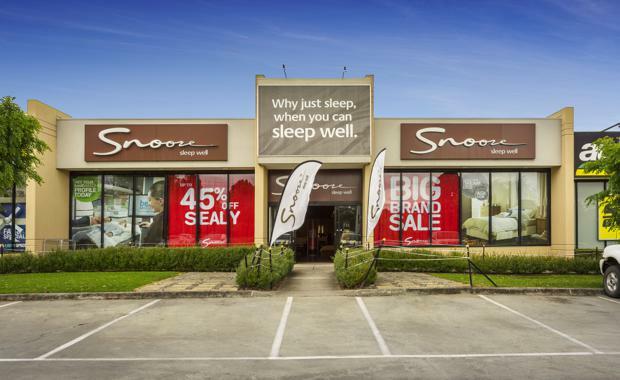 [urbanRelatedPost][/urbanRelatedPost]He said an approximately 1,028 sqm tenancy at 6/286-288 Maroondah Highway, Chirnside Park, leased by bedroom furniture retailer Snooze, was sold for $2.55 million and a yield of 7.3 per cent. “These properties were tremendous investment opportunities as they both had long term, blue chip tenants in place,” Mr Diston said. “There was strong interest in securing these tenanted showrooms in the Chirnside Homemaker Centre. “It’s a popular home and lifestyle shopping destination underpinned by major retail brands including Harvey Norman, Bunnings and many more.